Before we get into this, I want to caution you: Don’t freak out! Trust me. Your brain will not explode if you proceed. If so, mine would be toast. The first few paragraphs will explain what an IP address is. The next few paragraphs will explain how they are designed and allocated. And finally, we’ll show you step-by-step how to find them. You don’t need to understand the science and mathematics behind it all. You just need to know what it is so that when you hear something later, you’ll have a better foundation of the topic being discussed. Therefore, consider the first few paragraphs as a point of reference. TIP: There are two versions of IP addressing; IPv4 and IPv6. We will be working with IPv4 for this tutorial. As I previously stated, an IP address is a unique number assigned to each device connected to a computer network. 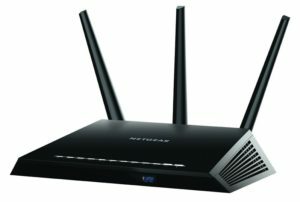 More specifically, it identifies the network hardware of the device. Remember, every computer connected to the Internet must have an IP address. Again, think of it like phone number. Obviously, if you don’t have a phone number you cannot make or receive calls. The same logic applies to IP addresses. An IP address serves two primary functions: (1) identification, and (2) addressing. For example: your first and last name indicates who you are. But your home address indicates where you live. 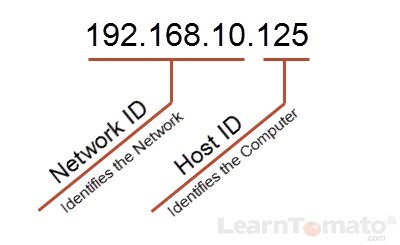 Consequently, IP addresses have two components: One part identifies the actual network that the computer is connected to. This is known as the Network ID. The other part of the IP address identifies a specific device or machine within the network. This is known as the Host ID. What are the components of an IP address? You may be wondering “which block of numbers is the network ID and which block is the host ID”? For most home networks, the first three blocks of numbers indicate the network ID. The last block of numbers indicates the host ID of the computer. This is NOT always the case, but it’s usually the case with home networks, like 99% of the time. This is the part I was cautioning you about. It’ll be over in 60 seconds so stay with me. Unlike a phone number, an IP address is actually a 32-bit binary number that has been converted to a decimal number to make it easier for humans to read. In binary format, an IP address looks ugly like this (11000000.10101000.00001010.11111101). What? Are you serious? Chill out. We’re not going to dive into how this works, but you should know the difference between a binary number and a decimal number. The binary format (11000000.10101000.00001010.11111101) is made up of 4 blocks of numbers, each having eight digits. The digits can be only a “1” or a “0.” Each block is called an octet because there are eight numbers per block. 8 x 4 = 32. This is why it’s called a 32 bit binary number. Therefore, instead of looking at the number in binary format (which is enough to make your eyes bleed) the number is translated into a friendly decimal format (192.168.10.125). Phew! Thank God! Ok, that’s the end of the brain strain — you can relax now. Where do IP addresses come from and who controls them? Public IP addresses are issued by your Internet Service Provider. Private IP addresses can be issued automatically by your router or set manually (either directly on your computer, or within the routers administration panel). 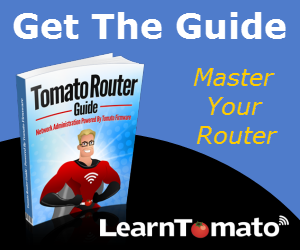 Unless otherwise specified, your router most likely uses DHCP to allocate IP addresses automatically. You can learn more about DHCP and how to change your IP address here. Whether public or private, IP addresses are assigned in blocks and these blocks differ in size. The size of the block assigned is written after a forward slash (/), also known as an oblique. The oblique tells us the number of IP addresses contained in that block. For example, a private network address “192.168.1.1/24” has 256 host addresses. These host addresses are the logical IP addresses that are necessary to connect your computer to the Internet. The number 24 refers to how many bits are contained in the network; therefore, it is from this number that the address space is calculated. It can be calculated mathematically, but it’s easier to use a CIDR chart. 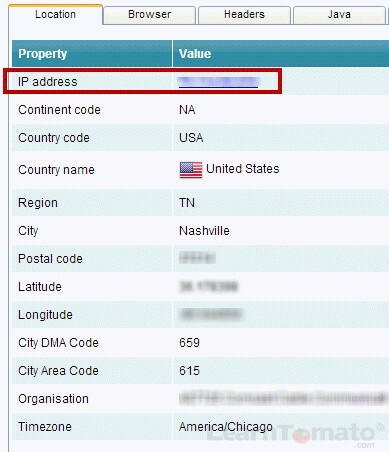 To discover what your public IP address is, visit: www.whatismyip.com, www.analyzemy.net, or just Google the term “what is my IP?” In this case, I’m using www.analyzemy.net. When you visit their website, you’ll be presented with a lot of information about your public IP address, including: the type of Internet browser you’re using and other configuration settings about your computer. Obviously, I’ve blurred out some of the information in the screenshot above for privacy reasons. But as you can see, your public IP address provides a great deal of information, including the city, state, zip, and even your longitude and latitude. Consequently, everything you do online, such as sending email, downloading files, and browsing the Internet, exposes your geographic location. This information is intended to identify and legitimize your location and system information. Unfortunately, it can also make it easier for hackers to get into your network and ruin your day. Sadly, most people connected to the Internet with only basic knowledge tolerate this level of exposure. In future lessons, you’ll learn how to protect yourself and minimize the risk of exposure. Ok, so what about my private IP address? The reason they always start with one of the above numbers is because these IP’s have been reserved globally for Local Area Networks only. For the sake of simplicity, we’ll stick with 192.168.x.x from this point forward. 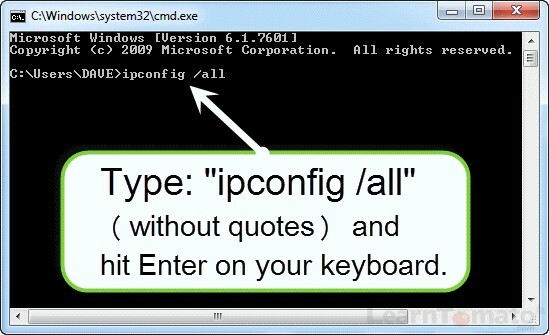 This is the most common IP address configuration among consumer line products. 10.x.x.x is typically more suitable for businesses that require large blocks of IP addresses. Remember, your private IP address is resolved from inside your Local Area Network (LAN). Therefore, to determine what your private IP address is, follow the steps below. 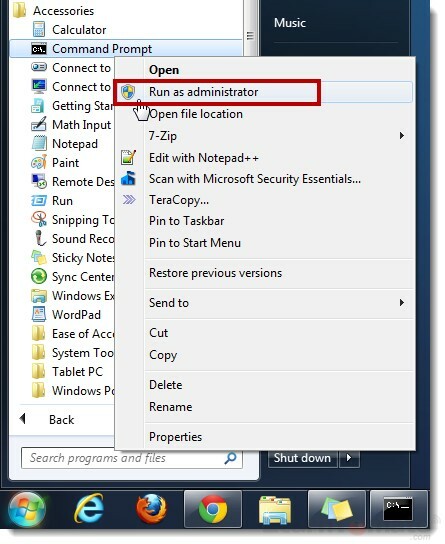 For this example, I’m using the Windows 7 operating system. In this case, the private IP address for my desktop computer is 192.168.1.4. 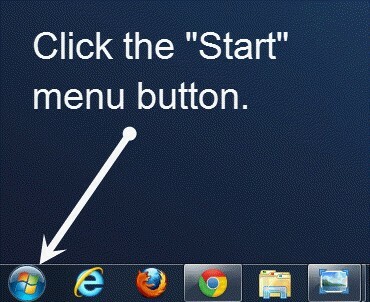 Each of your devices will have a different IP address display in this window. If you look down a couple lines, you’ll notice that my default gateway IP address is 192.168.1.1. This is the private IP address of the router. And the router is my gateway to the Internet. Do IP addresses ever change? Well, that depends. You see, IP addresses also come in two flavors. They can be static, or dynamic. Static IP addresses use the same numbers and do not change. Think of your phone number as a static IP address. It doesn’t change until you change it or have your service provider change it for you. Dynamic IP addresses change dynamically. To put this into context, imagine for a moment that every time you used your mobile phone, your phone number changed forcing you to dial out on a different number. How do I know whether I have a static or dynamic IP address? Internet Service Providers issue either static or dynamic public IP addresses. Commercial customers with business accounts typically receive a static public IP address that does not change. Residential customers are typically issued a dynamic IP address that can change at anytime. However, due to the demand of IP addresses world-wide (and to prevent IP address exhaustion), these days ISP’s often use what’s called sticky IP’s for residential customers. Sticky IP’s are still dynamic by definition, but rarely do they actually change. TIP: If your ISP issues standard dynamic IP addresses, you can sometimes get a new public IP address by resetting the modem. Unplug the power cord, wait 10 minutes, and plug the power back in. 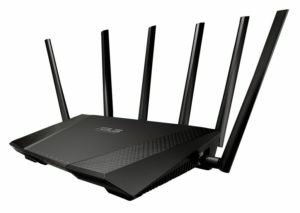 If your ISP issues sticky dynamic IP addresses, resetting your modem may not work. Most major Internet Service Providers (Comcast, AT&T, Time Warner, Charter, etc.) usually offer their residential customers the option to purchase a static public IP address if they need one. This is usually a nominal monthly add-on fee billed in addition to your current Internet service rate. Why would I want a static public IP address? Imagine for a moment that you are traveling out of town and you want to access a device on your home network. If your ISP changes your public IP address frequently (dynamically), you may be able to reach your network one day, and a few days later (if the public IP address changes), you’ll be unable to reach your network. This would be the equivalent of your cell phone number changing to a random number without your knowledge. There would be no way for people to reach you. Public IP addresses pertain to your Wide Area Network (WAN). Private IP addresses pertain to your Local Area Network (LAN). Both public and private IP’s can be either static or dynamic.